Jewell Instruments offers precision force balanced, quartz flexure and MEMS technology accelerometers. They manufacture our force balanced accelerometers completely in house and they are used for markets such as aerospace, rail transportation, military and more. Our quartz flexure accelerometers are convenient, compact designs that also offer great precision and durability for high temperature applications. The MEMS accelerometers are the most recent addition to our reputable motion sensor products. Their ruggedness and reliability makes them a great low-cost solution for numerous applications. 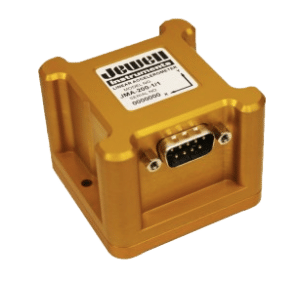 The Jewell precision accelerometers respond to changes in speed as small as 1μg. Devices with hysteresis smaller than 0.0005% of the complete range and elimination of vibrations lower than 50μG / G2 are also available. 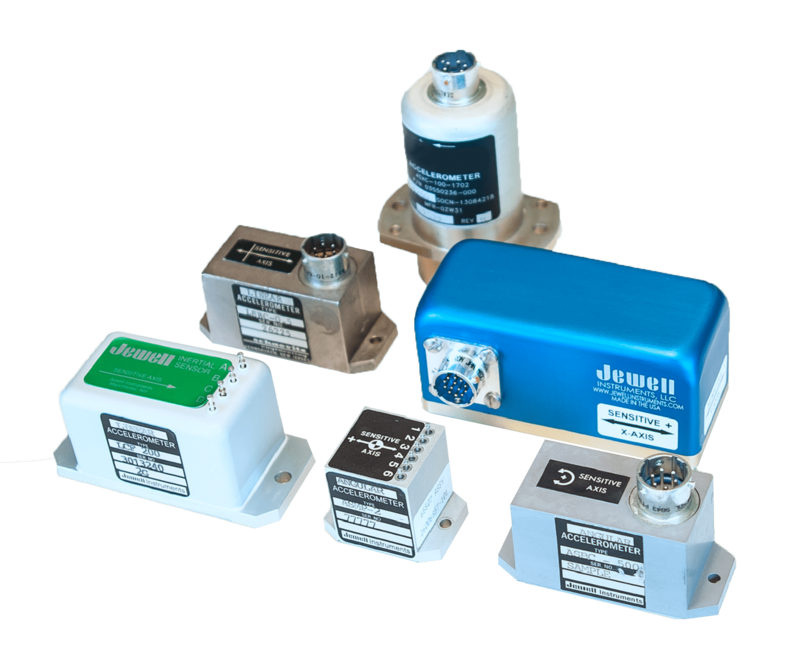 All Jewell force-balanced (servo) precision accelerometers are fully self-contained. They connect to a DC power source and a readout or control device for a complete operating system. The output is a high-level DC signal proportional to acceleration and tilt angle sine from as little as ±0.010g to ±20g full range. 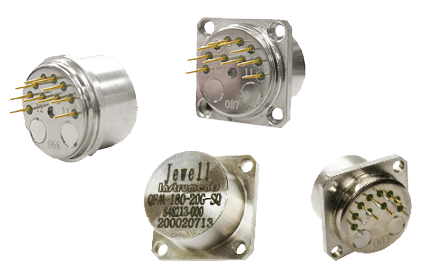 Jewell precision accelerometers respond to change in velocity as small as 1µg. Hysteresis less than 0.0005% of full range output and vibration rectification less than 50µG/G2 are available. Quartz Flexure Accelerometers are one of Jewell’s latest additions to its Sensors & Controls product suite. We also plan to offer a variety of quartz flexure accelerometers ranging in size, weight and application usage. 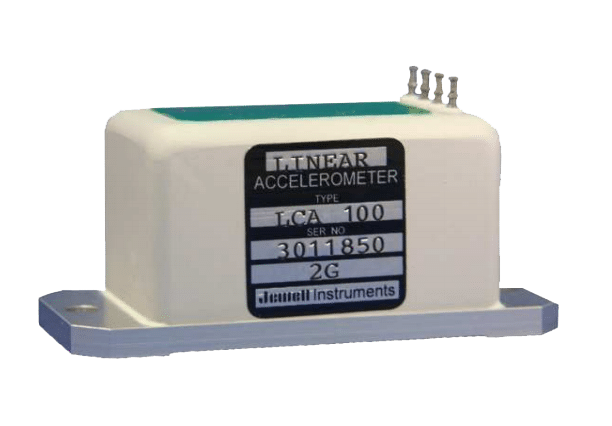 Jewell Instruments offers both analog and digital accelerometers utilizing MEMS capacitive technology. They can measure positive and negative acceleration in ranges up to +/-0.5g to +/-40g. With up to 400 Hz bandwidth, some models can be used for vibration measurement. You can get the exact sensors required for your application by choosing the g-range, bandwidth, analog or digital electrical output and more. View markets for sensors and controls.